Caney Creek Panthers Varsity Football Team competes in District 21-5A and plays their home games at Moorhead Stadium in Conroe, Texas. The Caney Creek Panthers Varsity Football Team are led by Head Coach and Campus Athletic Director Steven Svendsen, who is returning as a second-year coach head coach. Since 2006 the Panthers of Caney Creek haven’t attended or hosted a playoff game, so the ceiling for them is nothing but looking up. Not having .500 season in almost 12 years can be deflating for most cities, school, and programs, but not for Steve Svendsen he looks at this as an opportunity to build tradition and turning a program from last to top 4 at the end of the year. The goal for Caney Creek should be to host a playoff game in Buddy Moorhead Stadium, its time Panthers to turn the tide and surpass Crosby High School, New Caney and other schools that compete at the top every year. Coach Svendsen explained during the Conroe Noon Lions Club Luncheon in early August, that his team would need to rely heavily on the defensive line. Defensive lineman can either set the tone or literally turn the defensive into a walking nightclub with no bouncers. If Caney Creek wants any sort of success this season thier big boys in the trenches, are going to have to feast on quarterbacks and running backs. Steven Svendsen said that “defensively this team is built off the defensive line, and that it will be focal point to unit,” because if you can’t defend you usually can’t score. The Panthers team colors are Scarlet and Vegas Gold, and the school was established in 2006 and founded in 1997. Located on the east side of the same building as Moorhead Junior High School. In 2008 Moorhead Junior High moved into a new building, and Caney Creek High School's 9th graders occupied where MJHS originally was. 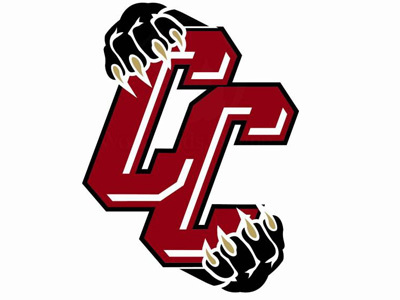 The Caney Creek Panthers compete in the following sports Cross Country, Volleyball, Football, Basketball, Powerlifting, Swimming, Soccer, Golf, Tennis, Track, Softball & Baseball.